Valentine’s Day is all about love, so why not forget the babysitter this year and spend the evening with all of the people who’ve got your heart? Try one of these fun, original ideas to pull off a V-Day your whole family will adore. What could possibly say “I love you” more than trekking into the wild (or your backyard) for a night filled with storytelling and snuggling under the stars? 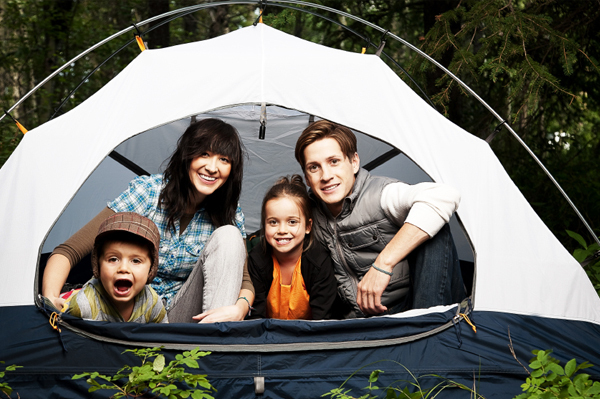 Start a family tradition while your kids are young, and every year they’ll look forward to your family’s annual Valentine’s Day camping trip. It doesn’t matter if you stay near or go far. The bottom line is you’ll be getting super quality time with your loved ones. Why share your family with an entire restaurant full of people? Keep ’em all to yourself on Valentine’s Day by staying at home and having a fondue party! It’s fun, easy and — hello! — yummy. So you’ve got two main options here: cheese or chocolate. If you’re feeling really gutsy, you can even go for both. Once you’ve set up your fondue station, all you need to do is heat the cheese or chocolate in the fondue pot until it begins to bubble or it melts, respectively. Let your kids pick their favorite snacks from the pantry to serve alongside the fondue — think cubed bread, crudités and cocktail weenies for cheese and fruit, marshmallows and cookies or graham crackers for chocolate. Pretzels work for both! Put on some upbeat music in the background and let the dipping begin. While you’re spending Valentine’s Day with your family, countless troops are serving overseas and wishing they were with theirs. Fire up your internet and head to Any Soldier, a site that connects civilians with troops who’ve requested correspondence. First, a warning — Any Soldier can be highly addictive. If you look on the left side of the page, you’ll see a long running list of names. Click on one, and it will pull up specific information from that soldier — who they are, where they are stationed, what they need. And, also, details about their conditions that really put things into perspective. Work together as a family to assemble a care package for one soldier (or many). We promise… it’ll bring you closer as a family. Just as creating care packages for troops will have you and your family feeling all warm and fuzzy, volunteering your V-Day at the local soup kitchen helps you appreciate just how lucky you are for everything you have. On a day that has been commercialized to the point of being comical, volunteering is an amazing way to remind your kids of the real meaning of love. If your city doesn’t have a soup kitchen, head to the nearest assisted living home or animal shelter. This may sound like a strange idea to do with your kids, but what a special way to commemorate the love you have for each other and share how your family first began. The truth is, your kids have probably heard the story of how you met a million times, but they’ve probably never seen the day you actually said your vows. If your kids are little, they’ll just be excited to see Mommy and Daddy on TV. If they’re older, they’ll enjoy being privy to that part of your past (even if they never admit it). This is particularly great if you happen to live somewhere where it is frigid on Valentine’s Day, and you’d just rather stay home than bundle up and brave the elements. Make a night of calling friends and family and letting them know just how much you all love them. Then, ask them to pay it forward — start a Valentine’s Day telephone chain. By the end of the day, your family will have been responsible for a whole lot of love and light being sent out into the world. Stock up on Valentine’s cards, Mama Bear, because you and your sweet little family are going to be handing out a ton of them. Why? Because you guys are going to be giving V-Day special meaning by performing random acts of kindness all around town. 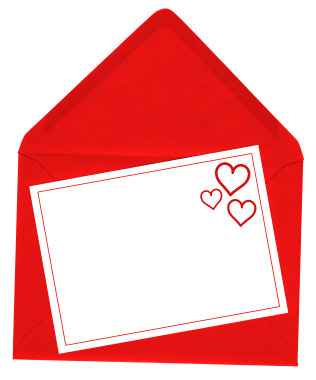 Hand those Valentine’s Day cards out to everyone you see — the grocer, the banker, even the mailman. Get personal by scribbling sincere compliments on the cards for neighbors you know… and leave them anonymously on their stoop. Stop by the art store prior to V-Day and stock up on art supplies: paints, paintbrushes and, most important, a huge canvas. Make sure each family member contributes to your one-of-a-kind work of art, whether it is abstract or you all work together to sketch out a picture prior to painting. Before the night is over, you’ll have a gorgeous painting with a special memory behind it to hang on your wall.